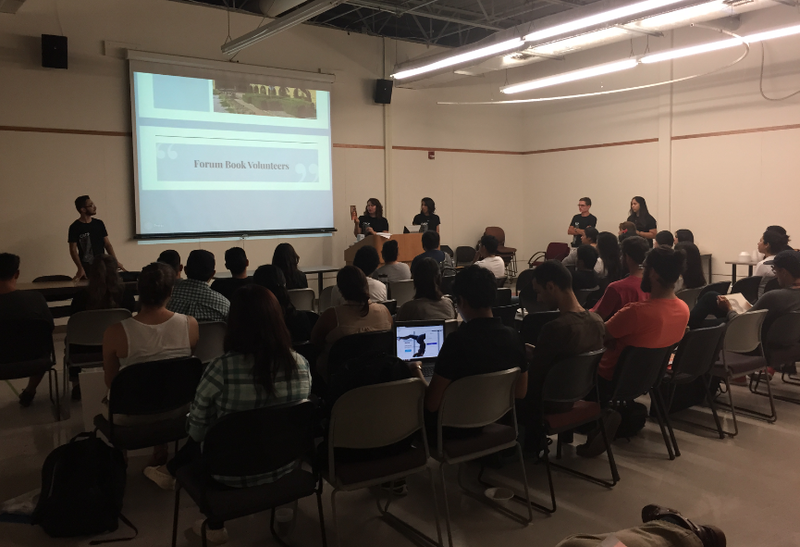 The second general meeting of the semester took place on Monday, September 14th in the Monterrey Gallery. The first subject covered was the schedule for membership week, which can be found here. The purchase of a t-shirt will enter your name into a drawing for a free AIAS membership. The purchase of an item from either fundraiser during the week will enter your name into a drawing for an Asel’s gift card. Liking our posts on instagram will enter you for a randomly generated drawing for a free t-shirt. Keeping up your AIAS event attendance will enter you into a drawing for a sponsored trip to AIAS Forum 2015. The UTSA Lecture series continues September 23rd with James McClintock. This will be in the Aula Canaria at 5:30pm. AIAS’ Event series continues September 26th with a tour of the San Antonio Missions led by Professor Darryl Ohlenbusch. The UTSA student-featuring publication Forum is seeking volunteers to put together the newsletter. If interested please contact a board member. 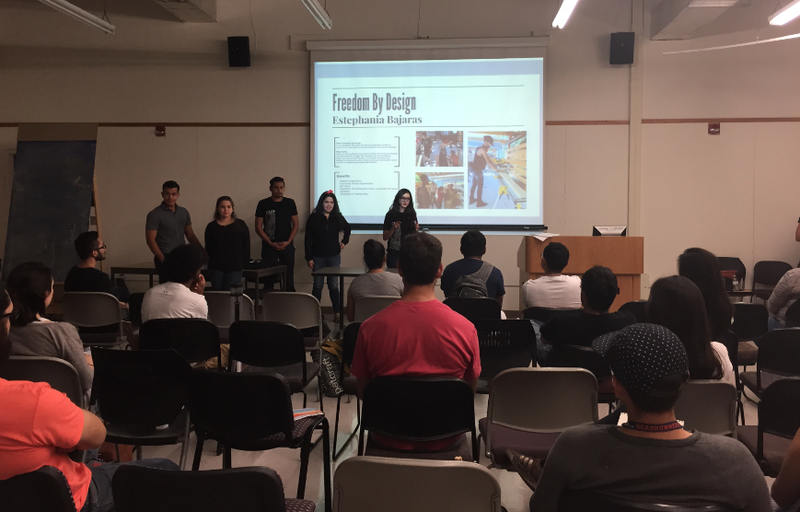 Freedom by Design discussed who they were and what they do, including the benefits of joining. 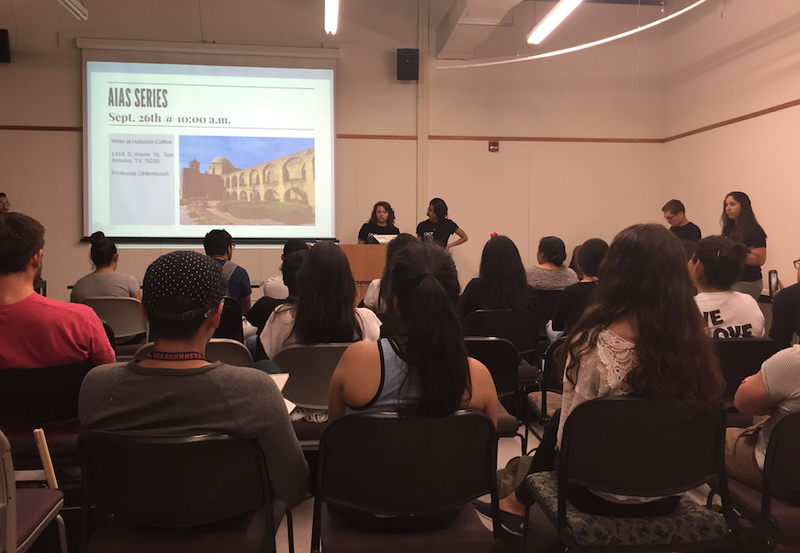 AIAS Forum Interest Meeting – Monday, September 21st, 5:30pm in the Gallery. UTSA Football Home Games – September 26 and October 10. IBAE Lecture – Wednesday, October 7, 12:00pm in the Gallery. The next AIAS General Meeting will take place Monday, October 12, 5:30pm, in the Gallery.